I like big bowls of noodles and I can’t lie. Noodles have always been a favorite, at the end of the hectic day; there is nothing more I want than a bowl of Maggi (Indian version of cheap ramen). Today was just one of those days, a day where there are more meetings and nothing productive done. Also, at work we have started a whole 30 day beachbody challenge. I am not certain about getting to the beach but judging from today; you might see me in the hospital soon enough. I think both my brain and body had a hard day today, so all I could think of was a bowl of noodles. When it comes to meat, my preference is always that of ground. I am not a big meat eater, and don’t like the whole idea of chewing on meat. Also, it being a weeknight ground meat cooks faster. So on my way home I stopped by Whole Foods, and grabbed a few things. I am also currently addicted to the Green Clean smoothie they have, kale and spinach has never tasted so good. This recipe should serve two people, unless you are absolutely ravenous like I was and then it will serve one person. Either way as I have always believed, the ingredients are just a list. The measurement should always be according to your taste, so please adjust as you like cooking is all about adding you own touch. 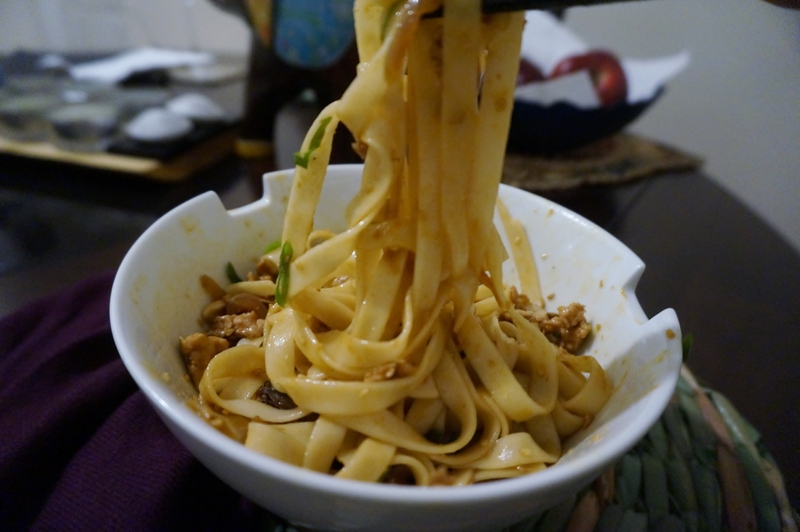 Boil the noodles and drain them, always reserve some of the liquid as that is where the flavor is. Heat a little bit of oil in a pan and sauté the onions till they are brown. Add the ginger and garlic and sauté a bit more, add the siracha and let it cook for about thirty seconds. Add ground turkey to the pan and mash; give your hands a little workout here. 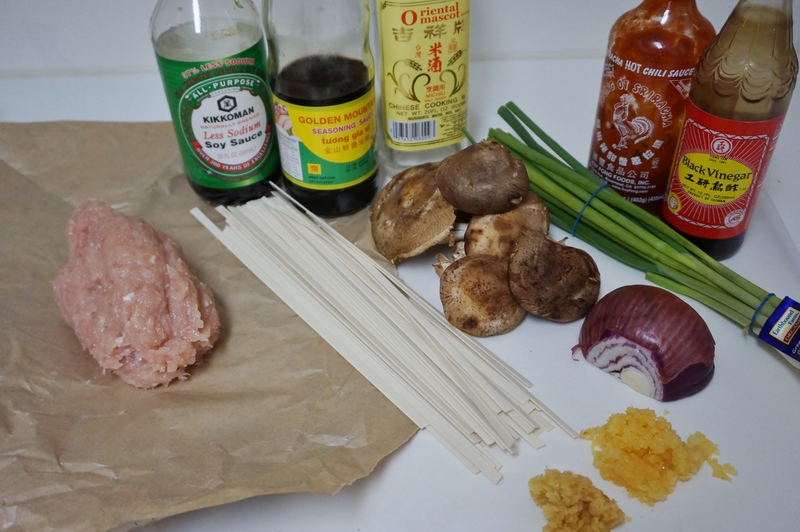 Add the soy sauce, black vinegar, cooking wine, seasoning sauce. Taste as you go and add more if you like, at this point you can add the mushrooms to the pan and cook it with the meat. I cooked the mushrooms separately with just salt and pepper. This is where you add your magic touch. 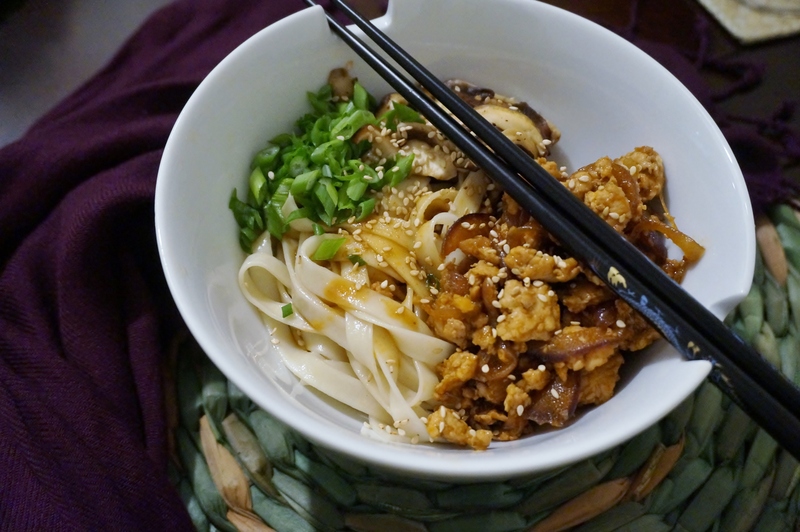 Remove the meat and mushrooms from the pan, and add the cooked noodles to the hot pan. Add a little bit of oil and honey to the noodles and mix. 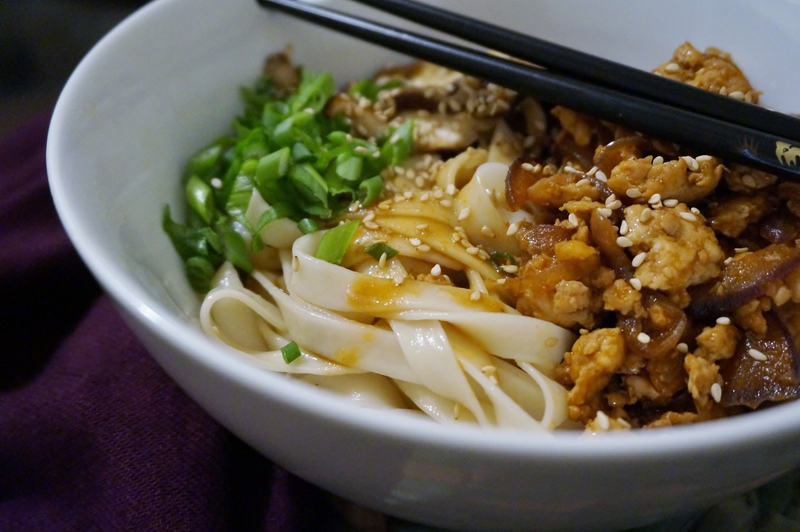 Now all you have to do is get a bowl, add the noodles top it with ground turkey, mushrooms and green onions. Eat up!